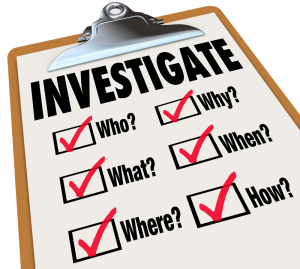 Have you thought of hiring a private investigator in NYC? There are several types of investigations that they perform for various purposes; New York City offers the best private detectives with world wide experience, so if you are interested in looking for a private investigator, New York City is the perfect place to start. Domestic surveillance has a multitude of purposes and is a method used to determine information through close observation and documentation. People often hire private investigators to perform domestic surveillance to find important information that is essential for protecting their family, home, and identity. Domestic surveillance can ensure that you know what is happening in your own home, especially if you are not in your residence. Many individuals use domestic surveillance if they expect that a caregiver or babysitter is abusive or negligent, a spouse is cheating, an employee is being dishonest, or when they need to document domestic violence evidence; this surveillance will give you insight into the happenings in your home when you are not around, and into the people who are both in your home and life. Domestic surveillance can be used to prevent crime or to obtain evidence of a crime. It can be used to document an individual’s location or activities around a specific location. Surveillance can be used to gather intelligence or information that can be used in court, custody battles, or larger investigations. Long story short, private investigators will use domestic surveillance to get the information and documented evidence you need. If you are looking to hire a NYC private investigator to perform domestic surveillance it is important that you go to a reputable private detective agency that has experienced investigators; it is essential that the person you hire is licensed, bonded & insured. New York Intelligence Agency’s owner David Schassler is experienced, reputable, and arguably the best private detective New York has to offer. No matter the reason you need to hire a private detective, it is important that you get professionalism and peace of mind.